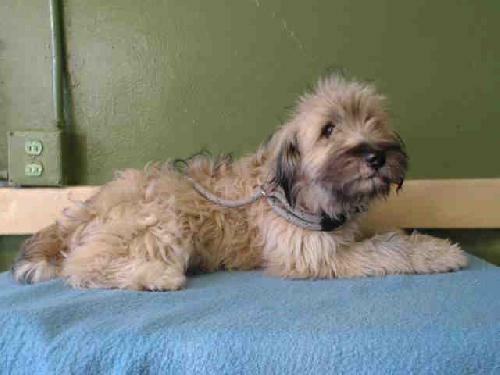 This young female terrier mix doesn't even have a name let alone a home. She may look scruffy but cleaned up sure she is very pretty. Please lets find her a loving home! 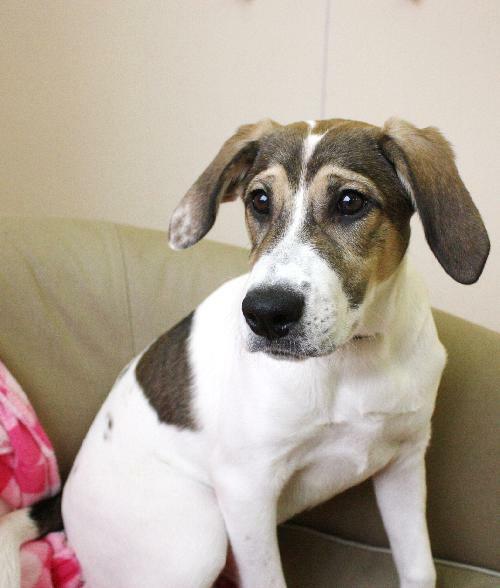 Morgan is an adorable Hound mix puppy who is very loving and sweet. This cutie pie weighs 17 pound and she will be medium to large adult. She gets along with other dogs and she will do well with an active family without very young kids. She’ll need some extra confidence building because she is a little shy. Her new family will need to continue her housebreaking and obedience training; we recommend group puppy classes for the whole family. Please lets find her a great home! Jasper is a 14 year old blind Boston Terrier/Pug mix. In December he was found wandering the streets by the animal police. He was cold and scared, but so grateful to be picked up and brought into S.N.O.R.T. 's care. Once he was warm, dry and secure, he showed his foster mom his appreciation by always wanting to be with her. He particularly likes to be warm and snuggly with people on the couch. He gets as close as he possibly can to his favorite people this way. He really does have a lot of love to give the right person or family. Toys are also one of his favorite things, and how he seeks comfort. He really is young at heart. If you work and need to leave him home alone part of the day, he doesn't mind being in his crate. If you prefer to take him along to your job he's content to hang out with you there and just rest in his bed. He is just fine with wearing the belly band to help him avoid any accidents. He is also ok with other dogs or cats, as long as they don't fuss if he bumps into them. He would really prefer to have a laid back dog buddy and would love it if you have a fenced yard where he can explore safely. A fenced yard is his number one wish for his new home. Due to his bad experience on the streets, he doesn't care for leash walks. As for children, due to his vision problems, younger children tend to stress him out. Older, patient kids and adults are best for him. Let's face it...nobody's perfect. He may not have great vision but he certainly has a lot of charisma. He has had a bit of a rough past, and could use a change in luck. Please lets find him a good home! 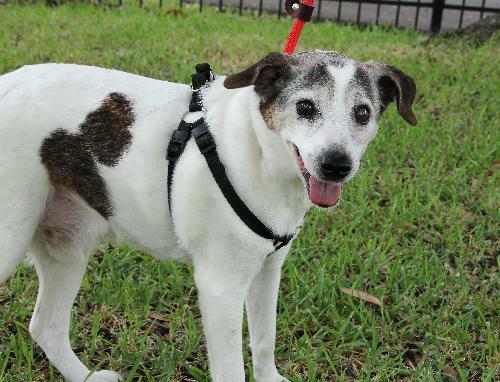 Langston is a Rat Terrier mix, 6 years old and 22 lbs. He have a few gray hairs, but is totally a puppy at heart. He is always smiling these days, but not very long ago, I was found in a ditch...bloody, hungry, and at death's door. That is when my foster dad took me in from the cold and rainy night. After being hit by a car he is now healthy and happy. Though he still has some problems due to my injuries. He can be a little unsteady and fall down sometimes but he doesn't let that stop him. He doesn't see so well out of one of his eyes but it doesn't bother him a bit. He has a big heart and is very loving and loyal. He is very gentle and likes to be near his foster mom all the time. He needs a family who will be patient with him as he can be a little shy. He gets along great with other dogs, not sure about cats and children though since he hasn't been around either. Please lets find him a loving home!